One of the best things about planning your dining experiences when traveling to the Walt Disney World Resort is the wide array of dining options available. From traveling to different countries in Epcot’s World Showcase, sampling cool treats by the pool or grabbing a quick burger while touring the parks, Disney has something for every taste and budget. But nothing beats unique character dining for kids and those big kids at heart! 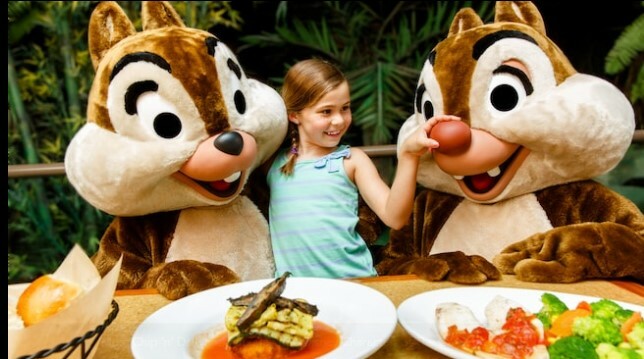 Character meals are some of the most popular dining options at the Walt Disney World Resort. 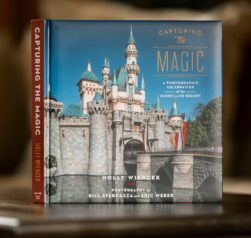 Not only do these dining venues get you up close and personal with your favorite Disney characters, but they provide photo opportunities and autographs with the characters themselves while enjoying a one of a kind of meal experience. Character dining meals allow you to skip those long lines in the park and provide you with a personal experience when meeting those characters that you love. Wondering which ones are the most popular? Let’s take a look at the top five Disney dining character meals and what you can expect when visiting yourself! If you are looking for the main Mouse himself, then look no further than Chef Mickey’s located at Disney’s Contemporary Resort. Meet all your favorite Disney friends including Mickey, Minnie, Donald, Pluto and Goofy! Not only do characters visit each table but the characters invite you to sing and dance around the restaurant to celebrate a fun Disney day! Chef Mickey’s features an all-you-care-to-enjoy buffet with comfort food galore and is available for breakfast, brunch and dinner. This is always a family favorite! 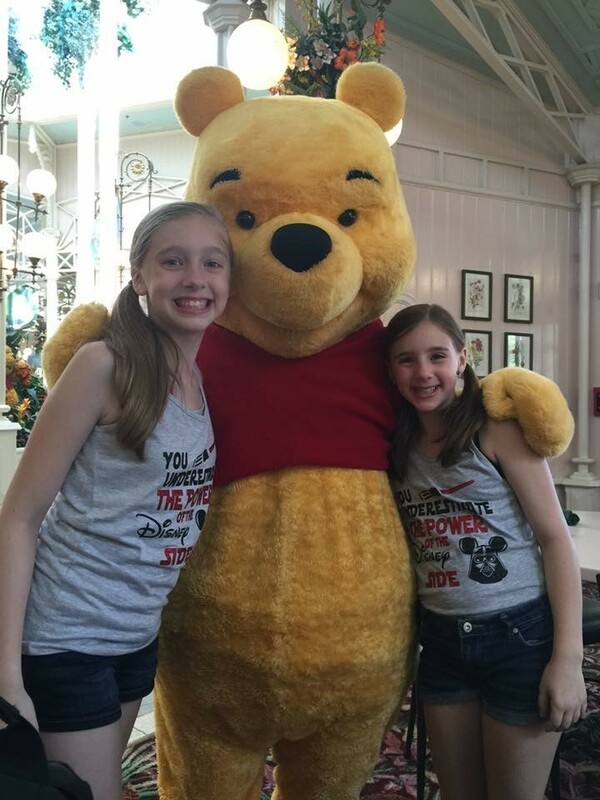 Our friends at the Hundred Acre Woods are eager to meet you at The Crystal Palace in Disney’s Magic Kingdom. Modeled after an old 1800 Victorian greenhouse, The Crystal Palace is a favorite amongst guests who are looking to steal a hug from Winnie the Pooh, Piglet, Tigger and Eeyore. Guests can enjoy an all-you-care-to-enjoy buffet for breakfast, lunch and dinner. The Crystal Palace is a must do for any family looking for an enjoyable character experience, delicious food and relaxing atmosphere. If going for breakfast, make sure to try the breakfast lasagna! You won’t regret it! One character meal that is gaining in popularity is The Garden Grill in The Land Pavilion in Epcot. The restaurant slowly rotates above the Living with the Land attraction and features high backed booths for a comfortable seating arrangement. A major benefit in dining here is the family style all-you-care-to-enjoy dining. All the food is brought to your table, which means you never have to leave your seat! Meet some fun Disney characters including Mickey, Pluto and America’s favorite chipmunks, Chip n’ Dale! The dinner menu includes a house-made salad with ingredients grown right in the Land pavilion, a char-grilled filet of beef, sweet potato fries and mac and cheese! Make sure to add this character meal to your list! Reservations are now available for breakfast too. One of the most sought after character meals in all of the Walt Disney World Resort is Cinderella’s Royal Table. Guests can experience a one-of-a-kind experience while dining inside Cinderella Castle – any princess’ dream! Cinderella’s Royal Table is available for breakfast, lunch and dinner. During breakfast, guests will have the chance to meet their favorite Disney princesses including Cinderella, Ariel, Aurora and Snow White. A traditional breakfast is served at your table. For lunch and dinner, choose from a variety of options including pork tenderloin, chicken or fish. Characters include Cinderella, Belle, Jasmine and Snow White. 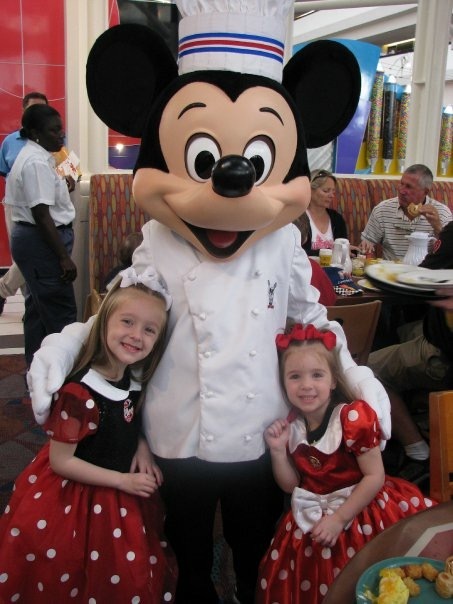 Another fun surprise in dining here is guests ages 3-9 get a special treat as part of their dining experience. Girls receive a beautiful princess wand and boys will receive a prince’s sword. If Cinderella’s Royal Table is a must have for your family, make sure to secure those dining reservations 180 days out from your travel dates. Any of our travel agents would be more than happy to assist you! 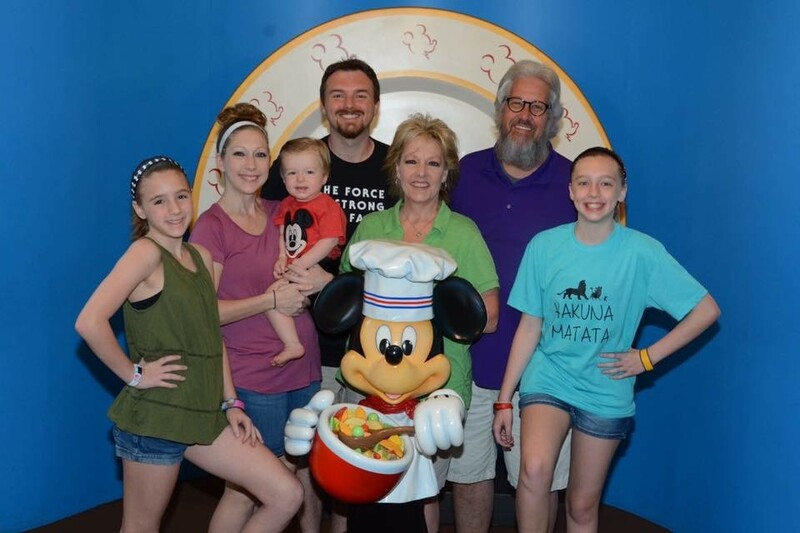 No matter what Disney character is your favorite, the Walt Disney World Resort gives you plenty of options in meeting those special Disney friends and enjoying a delicious meal at the same time. Make sure to have your autograph books and cameras ready! You will want to capture those special memories! Ready to plan your next Disney adventure? Click HERE for a free quote from one of our Dream Designers. At Dreams by Design Travel, we want your vacations to be a happy adventure…where families can have fun, together. We believe that a magical vacation begins with careful planning and that is exactly what you receive with our agency! All of our services are FREE to you when you book with us. We are paid by Disney! Also, did you know that you pay the same amount whether you book directly with Disney or through us? In fact, with our incentives and booking gifts, you come out AHEAD with us! We can assure you that you will receive the best possible care from our team. 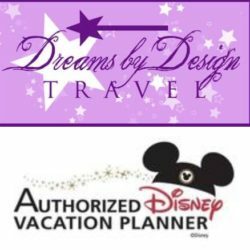 Dreams by Design Travel are not your average travel agents; we are Dream Designers! Hello! My name is Cassie Wheatley, and I am thrilled to be a part of helping families plan magical vacations that will create life long memories! There is something special about stepping into the Magic Kingdom for the first time and seeing Cinderella Castle or snuggled up with a loved one watching fireworks overhead while Disney music plays in the background. Disney not only goes above and beyond to bring you a memorable experience but there is so much to see and do that each vacation is different than the last. My favorite part about traveling to the Walt Disney World Resort is being able to plan each aspect of the vacation. 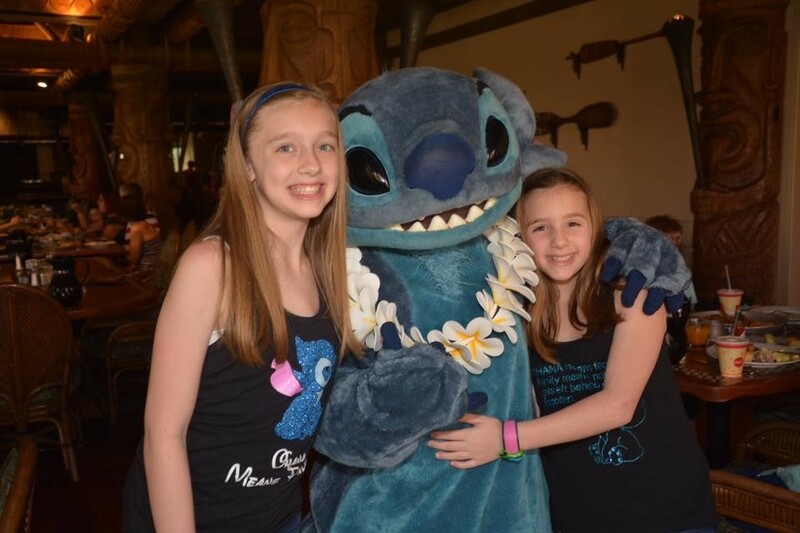 From character dining experiences to special events, parades and fireworks or even which ride to do first, creating a stress-free vacation is what I love to do! If you would like me to design a vacation of magical memories that will last a lifetime, you can contact me at Cassie@dreamsbydesigntravel.com.